Boutique cruise line Azamara Club Cruises has released its 2019 itineraries with a number of firsts, including Azamara Quest’s cruises from Singapore to Fremantle, then Fremantle to Melbourne and Sydney. The cruise from Fremantle departs on December 22, 2018 for 15 nights, including a Christmas and New Year’s Eve voyage to Melbourne, which will offer three nights docked in Sydney for one of the world’s best New Year’s Eve celebrations. Azamara Quest will also sail for the first time from Melbourne, a 16-night Australia and New Zealand voyage to Auckland departing January 6, 2019. A 16-night New Zealand Intensive voyage from Auckland to Sydney departing on January 22, 2019 visits 10 New Zealand destinations, including the line’s maiden calls to Stewart Island, Nelson and Gisborne. The boutique cruise line’s worldwide 2019 itineraries will make a record 250 ports of call, with 45 maiden ports, 69 countries, 94 overnight stays, and 145 late-night stays. Other new offerings will include Azamara’s first-ever sailings to Alaska, nine special event voyages and nine country intensive voyages. “We are confident that our growing number of first-time and millennial cruisers, along with repeat customers, will find that the new itineraries offer the type of personalized and unique experiences they seek,” Azamara president Larry Pimentel said. 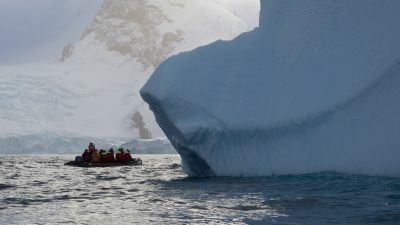 “With the new itineraries, we are continuing to build upon our stay longer, experience more brand positioning, with more onshore opportunities that allow guests to connect with locals for enriching travel moments, both on land and at sea,” he said. Specialist itineraries include eight new voyages for golf enthusiasts that include The British Open in Portrush, Northern Ireland and The Masters Tournament in Augusta, Georgia. 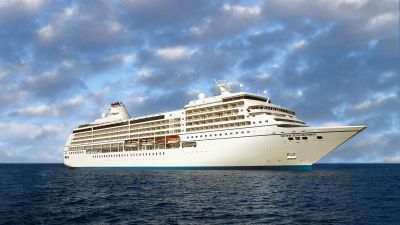 The cruise line has also centred some of its voyages around special events, including two Formula One races (the Monaco Grand Prix and Spanish Grand Prix), the Cannes Film Festival, a round-trip California Wine Cruise from Los Angeles and an Annular Solar Eclipse voyage on the Indian Ocean. The line will also be in Scotland for the Royal Edinburgh Military Tattoo, as well as the once every five years Rouen Festival featuring many of the world’s largest tall ships. Country intensive voyages include Japan, New Zealand, Mexico, Norway, Spain, France, Italy, Croatia and Greece. For more information visit azamaraclubcruises.com, phone 1800 754 500 or travel agents.